…[T]hat [TNG] project, and the characters within, are being folded into the next Raven film. This is essentially Voyager Continues. 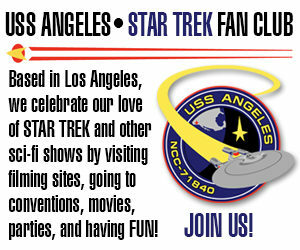 Since I need to ditch the name StarTrekRaven.com, look for a new website soon too…besides starfleetstudios.com. Years ago, Starfleet Studios began work on a project that David planned to call Voyager Continues. But the project eventually took a back seat and was never completed. 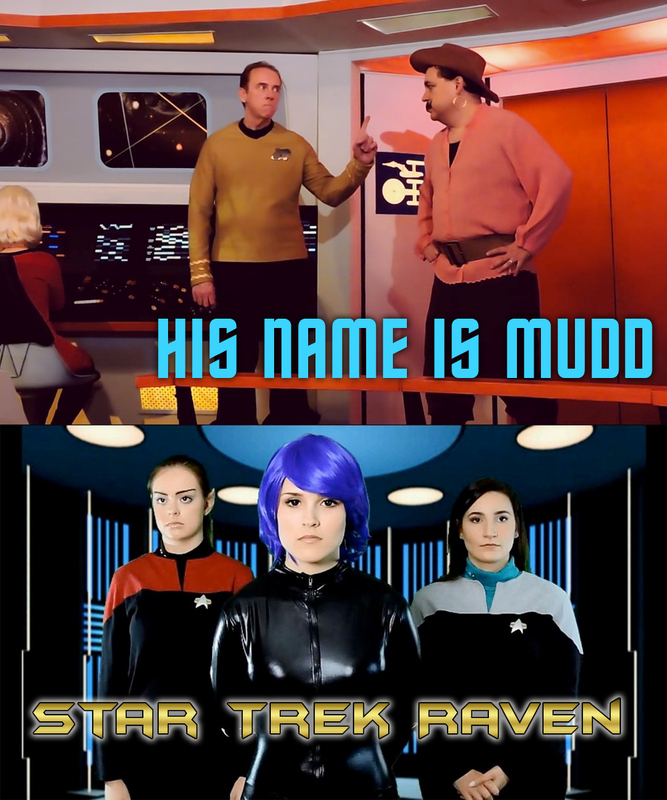 Instead, Starfleet Studios recently released not just one but two fan films: His Name Is Mudd (the premiere production of the new Federation Files “fanchise”–I just made that word up!) and Star Trek: Raven. The latter film was actually labeled Raven: Voyager Continues – A Star Trek Fan Film when it got posted to YouTube. But the opening credits still show the original title. Voyager Continues will feature some TNG and VOY era ships and cast. Beginning soon will be a series of interviews of the new cast and some more info about the show. I want the fans to get to know these folks, and to show that they indeed can act, despite the limited time we had to make Raven. I’m not going to rush it. 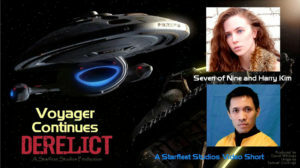 Derelict is a Voyager film and takes place after Seven of Nine has been on board for a little while. Finding the people to play this scene has taken years, frankly, and I’m very fortunate to be in this situation. 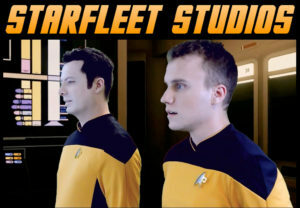 It’s a simple story and is meant to showcase these two new actors to Starfleet Studios plus the script and the CGI. 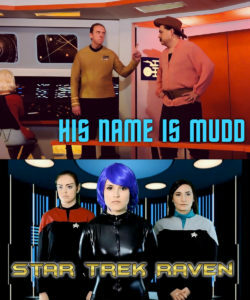 I believe fans will be shocked at the level in quality CGI and camera improvement from Raven and His Name Is Mudd. The CGI is from a known guy, and I may have some shots as early as next week to show. I am building the set this time, so no green screen…thank goodness! This set will be used not only for this film, but for at least two others, provided it looks good. But I can’t share those yet. The consoles are from Stargate: Atlantis, by the way. I intend to use IndieGoGo for Raven 2 (not the title, just a bookmark). I’m making “Derelict” completely out of pocket. If this quality jump does not get the fans’ interest, then I’ll give up caring and make more films despite their enthusiasm…because I loved Voyager; it is my favorite incarnation of Star Trek. I’m hoping to begin shooting Derelict in December and Raven 2 in February. So…YAY! More fan-produced Star Trek to look forward to…and this time focusing on the seldom-seen (in fan films, at least) USS Voyager! Thanks for the article. The guy playing Data did not quit though, it was the other guy, playing Lieutenant Harris. He’s just too busy with his acting career. His real name is Caleb Harris. Again, well done. Good writing. It almost sounds like he doesn’t expect fans to care about what he does. I suspect the poor showing of the recent Kickstarter has left David a little downtrodden. I actually think his stuff is quite good. But there are fans who can be very critical…even of the top-of-the-line fan films. I’ve heard complaints about Renegades, New Voyages, Continues (not many, but some), and even Axanar. Heck, some folks even complained that Tommy Kraft’s background “sets” in Horizon were too blurry (that was an artistic choice on his part). So fan filmmakers need to develop a thick skin. Sorry if I sounded a bit sour there about fan support. It’s just that you never know what will kindle their excitement. You see, on the one hand if we expect fans to support us we have to spend countless hours on the promotional aspects of it all, when we could use that time for actually making a film. So it’s a toss up. My hope is, that with Derelict looking a lot better than Raven, fans will begin to expect me to deliver something they enjoy and higher quality. And frankly, if I had tons of cash, I’d not even think about fan-funding. I do this for fun. What makes costs go up is our devotion to canon, and to great sets. I recently had to close down the studio and move all the gear to my house. I need that rent money to pay for the films production costs. Seriously though, I thought there were more dedicated TNG fans out there somewhere…that would get excited…where did they go? At any rate, I’ve suddenly found new cast members to play Data, Worf, and Counselor Troy. Raven 2 will have new members playing Janeway, Seven of Nine, Tom Paris, Tuvok and Harry Kim. So things are actually looking good for Starfleet Studios rather than worse. We still have access to Starbase Studios new studio in Arkansas, and I am currently building walls for the interior sets for Derelict. NO GREEN SCREEN. Whew! Next Next post: FAN FILM FACTOR finally features a FACEBOOK page!